I use the "color or mark by column" function to set specific color/mark into airport data. 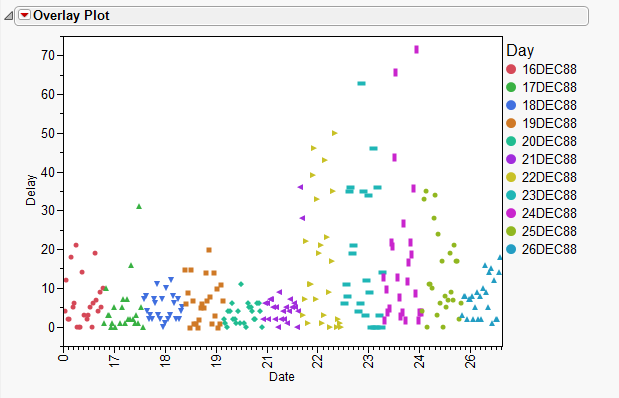 Then, displayed the overlay plot using JSL and found one inconsistent legend result in report. The legend only display color sympol instead of color+marker sympol. Since I would like to keep the color/marker setting from data table, I can't re-assign these seeting using JSL. Could you give me some suggestion how to modify it using JSL?